We made our annual trip to Ocean City, Maryland, for some fun in the sun. 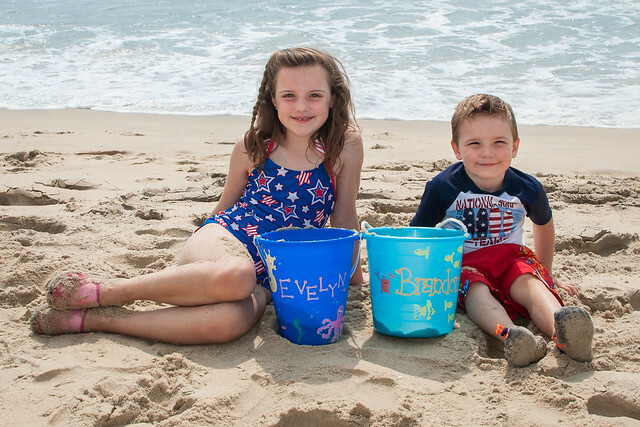 Evy and Brandon played in the ocean, dug in the sand, played mini golf and swam in the HEY YOU GUYS THE POPSICLE TRUCK IS OUTSIDE I CAN HEAR THE MUSIC PLAYING IT'S COMING DOWN THE STREET AND I NEED TO GO ON THE BALCONY RIGHT NOW I'LL BE BACK IN A MINUTE!! Anyway, a lot more pictures from OCMD are on Flickr.